The longest U.S. government shutdown in history is adding a headwind to the rollout of next-generation wireless networks and devices during a year widely considered crucial in the global race to 5G, telecom industry insiders said. U.S. policymakers have sought to speed private sector 5G deployment efforts by easing regulations on infrastructure. But with the U.S. Federal Communications Commission mostly shuttered, the approval of new 5G-enabled technology and the progression of legal challenges related to the network infrastructure build-out are all on hold, with a nearly monthlong backlog awaiting FCC staff once they return to work. A 5G logo is displayed at a tech expo in Beijing in September 2018. The FCC's Office of Engineering and Technology must authorize all radio frequency devices prior to their being marketed or imported into the U.S. The agency's technical requirements are designed to ensure all RF devices used in the U.S. operate effectively without causing harmful interference. The FCC's Equipment Authorization System and its Experimental Licensing System are among the agency operations that have been closed since Jan. 3, when the FCC ran out of funding following the partial government shutdown that began Dec. 22, 2018. 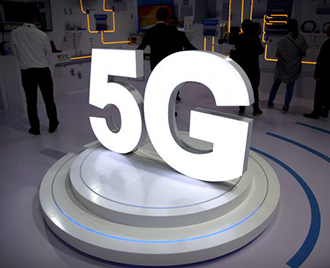 "The unavailability of this process will have a serious and negative impact on the approval of new connected devices that are designed to enable both 5G deployment and the full ecosystem of next-generation technologies that 5G will support," said the Telecommunications Industry Association, which represents the manufacturers and suppliers of high-tech communications networks, in a statement. Wiley Rein partner Joshua Turner, whose legal practice areas include communications enforcement and compliance, said that in terms of the shutdown's impact on the rollout of 5G, the freeze on equipment authorizations "is a huge part of this" and the effects will worsen if the shutdown continues for more than another couple of weeks. "You're going to see a real problem in terms of folks who'd hoped to roll out some of this really advanced equipment not being able to get the authorizations that they need to proceed," Turner said in an interview. A former commissioner at the FCC agreed, saying the shutdown "will create a backlog" for both equipment testing and rulemakings on 5G issues. "You can probably safely predict that any testing or rulemaking or other government action will be delayed by about the same number of days as the shutdown itself, or maybe longer," former FCC Commissioner Robert McDowell told S&P Global Market Intelligence. McDowell served as a Republican FCC commissioner between 2006 and 2013 and currently works as a partner at the law firm Cooley LLP. The former regulator ultimately believes the 5G build-out will happen regardless of the federal government's status, however. "The private sector is the main driving force behind that and is busy investing hundreds of billions of dollars ultimately in next-generation 5G," he said. "But there are other things that the government has a piece of, and sure, the shutdown can slow down the rollout." In terms of the legal fallout for 5G, while the federal courts have enough funding to operate normally until Jan. 25, FCC lawyers are unlikely to be working on 5G-related cases during the shutdown, McDowell said. Courts are likely to grant extensions on briefing deadlines or oral argument dates that federal attorneys are not working on due to furloughs, he added. One pending legal battle concerning 5G centers on an FCC order adopted in September 2018. The order, which took effect Jan. 14, prohibits municipalities from blocking deployment of small cells, the cellular base stations and antennas used to make networks denser in 5G build-outs. It also limits how much local and state governments can charge for reviewing small cell applications and how long those governments can take in responding to applications. A number of local municipalities opposed the order and are seeking to overturn it. Some operators objected as well, with Sprint Corp. and AT&T Inc. filing lawsuits contending that the order did not go far enough to ensure speedy approvals of small cell deployments. Telecom lawyer Peter Connolly noted that the small-cell order is already in effect, but future court appeals could slow down its implementation if the shutdown persists. "At this point, the FCC's legal arm is paralyzed," said Connolly, a partner at the law firm Holland & Knight LLP. "The FCC can't defend its rulings in court when they're challenged." Wesley Wright, a partner at Keller and Heckman LLP, said in an interview that the shutdown could actually keep the order in effect a bit longer despite pent-up legal challenges. "The status quo would remain in effect potentially a little bit longer because of the shutdown," he said. Wiley's Turner, however, noted that enforcement of the order would typically require the courts to settle disputes if a municipality does not meet application review deadlines, for instance. "For now, the federal courts are open," he said. "Come next week, I'm not sure what the ability to enforce the provisions of the order will be in federal court, and that's definitely a concern."